Ridgeway Catering Company can provide Quality catering for your special day. 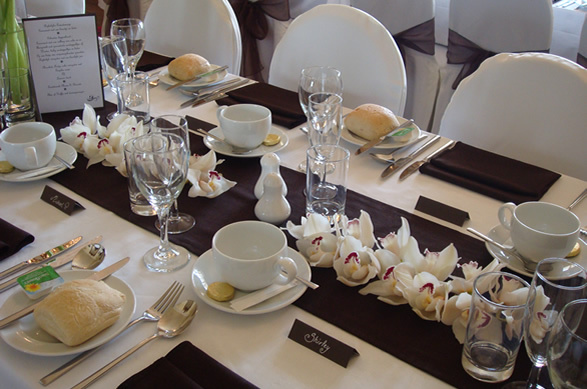 We offer a full Sit Down service for your formal event or Hot and Cold Buffets for the less formal affair. We can supply waiting and bar staff throughout the day and can offer drinks and canapés on arrival. With our extensive knowledge, professional staff and personal commitment Ridgeway Catering Company will ensure your day will run smoothly, leaving you to enjoy your special day, just as you imagined. Ridgeway Catering Company is the foremost outside catering company on the borders of London and the South East of England, including Essex, Hertfordshire, Middlesex, Kent and the South Coast. Please call our experienced friendly team for more information.